This recipe was handed down to me by my mother-in-law Lilly, and it really took some time to reach perfection…trying to play around with baking times created different versions that were too dry or overly moist… My kids call in The Nescafe Frappe Cake! Soft, moist and rich on the inside, crumbly and crunchy on the outside, a pure symphony of instant coffee, bittersweet chocolate …! 1.Preheat the oven to 180°C (350°F). 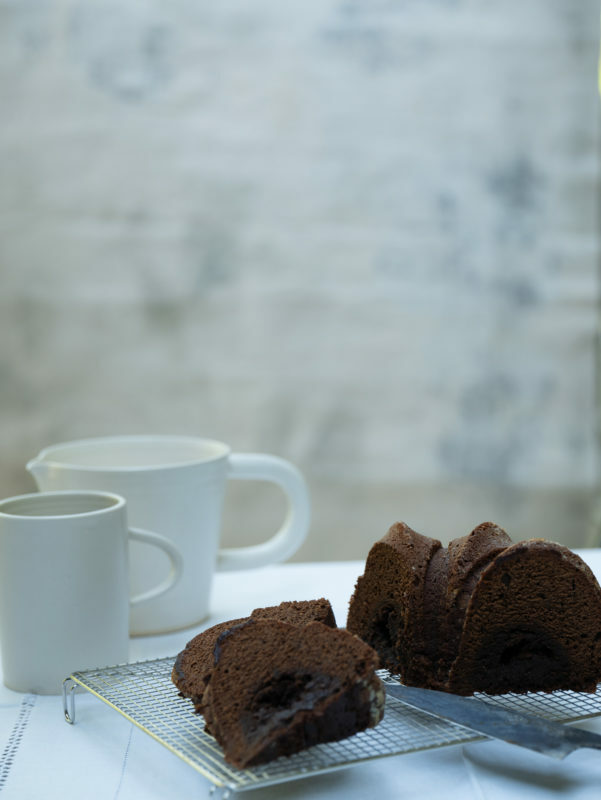 Grease a round bundt pan with butter and dust with flour. 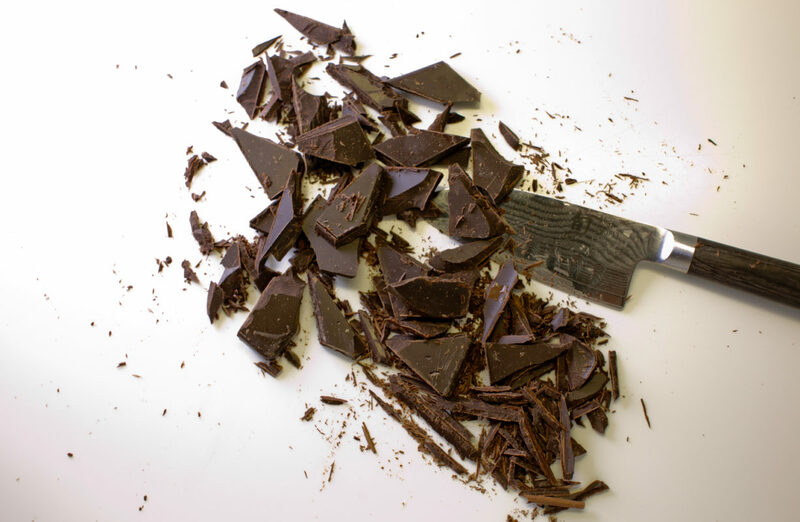 2 .For the chocolate: Melt the chocolate with 2 tablespoons of water in a double broiler and set aside. 3. For the butter/egg/sugar mixture: In a large bowl beat the butter on medium high in a stand mixer fitted with a paddle attachment until smooth, about 1 to 2 minutes. 4. Add the sugar. Beat until creamy and fluffy, 4 to 6 minutes. Gradually beat in the eggs. 5. For the flour mixture: In a medium bowl, add flour, Nescafe, vanilla and baking powder. 6. Add the flour mixture in 3 portions to the butter/egg/sugar mixture alternating with the warm water and scrapping down the bowl and beating until smooth after each addition. When the two mixtures are mixed together add the melted chocolate. Lightly combine and mix. 7. .Spoon the batter into the pan. Cover with aluminum foil and bake for 30 minutes. Remove the foil and continue baking for another 8 minutes. 8. Allow the cake to cool completely while in the pan. 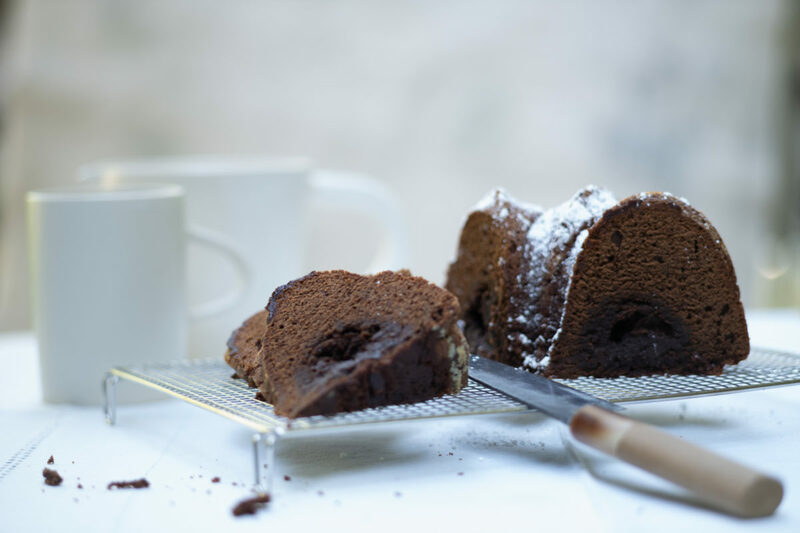 The cake settles as it cools and it is crunchy on the outside and juicy on the inside. 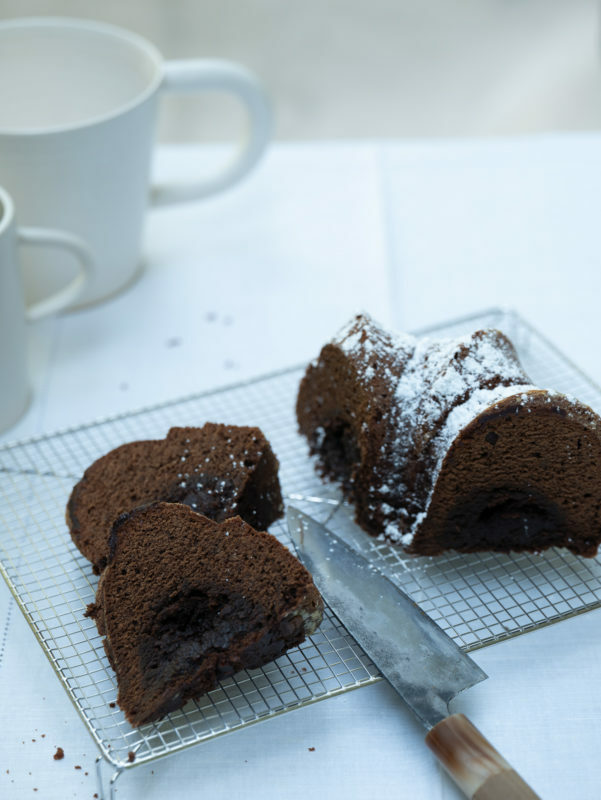 Turn the cake to a serving plate and sprinkle some icing sugar over the top. Keeps fresh for 2-3 days covered.